Lawrence DJ Service - Junction City provides DJ and Photo booth service for many events like wedding, reunions, birthdays, anniversaries, graduation party and sweet 16 parties. We plays 50s, 60s, 70s, 80s, 90s, acoustic, big band, classic rock, classical, country, dance, folk, funk, gospel, hip hop, jazz, Motown, oldies, orchestra, pop, punk rock, R&B, rock, soul, strings, swing and world. We bring a great light show to make your dance floor pop, top of the line audio equipment, and a wireless microphone for any toasts or speeches. 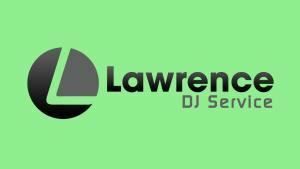 We offer DJ Services in the Lawrence, Kansas City, Topeka and Surrounding areas. Our DJ Services bring the right mix of professional and fun to make your event enjoyable for all your guests.